Nature's Nutrition Certified Organic Premium Quinoa is sourced from the highlands of Peru, the largest Quinoa producing country in the world. 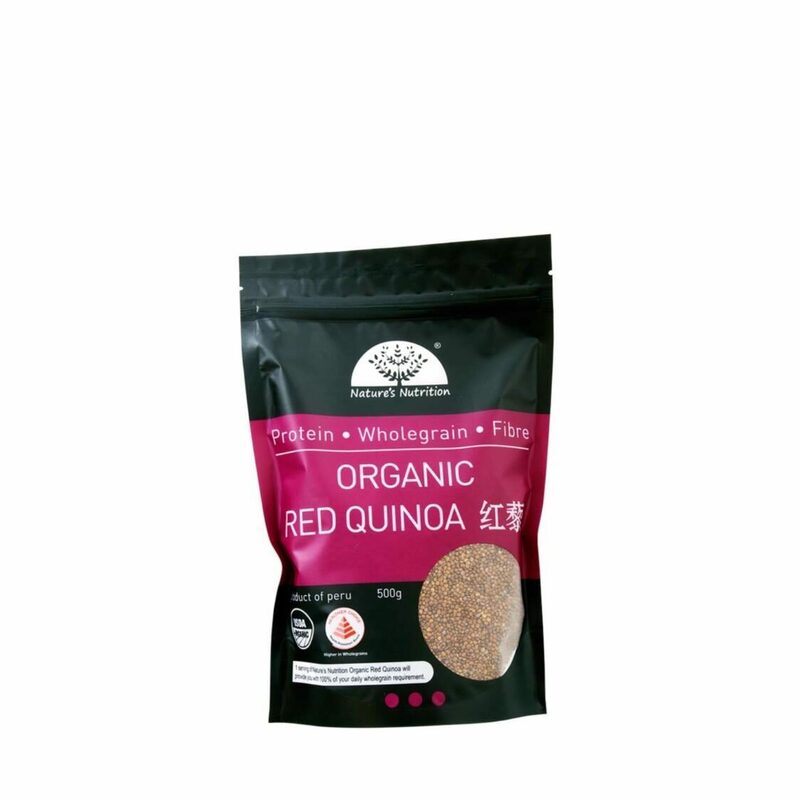 A part of Health Promotion Board, Healthier Choice Singapore, Nature's Nutrition's Quinoa is a wholegrain and a natural plant-based source of protein, providing the essential amino acids needed to aid in the building and maintenance of body tissues. Quinoa is also know for its fibre content which aids in your digestion and its Vitamin B1 rich content, contributing to the normal functioning of the nervous system and the heart. Best of all, Quinoa is easy to incorporate into your daily diet. It can be cooked in the same way as rice and used in a wide variety of dishes. Add Quinoa to your daily diet today as a plant-based source of protein that is certified organic, non-GMO and free of saponin.